Over the past decade, York County has become a popular destination in the region for developers, residents and businesses. Known as "Charlotte's Southern Neighbor", York County is located just over the North Carolina state line and is easily accessible by I-77, Highways 160, 521 and 49 in addition to a large network of two and four lane highways that cross through the county. Uptown Charlotte and Charlotte Douglas International Airport are just a half an hour commute and the Rock Hill/York County Airport located is in Rock Hill offering full service to corporate fleets, general aviation and hangar space. York County's has over 226,000 residents and it is comprised of nine main cities and towns: Rock Hill, Tega Cay, York (county seat), Clover, Fort Mill, Hickory Grove, McConnells, Sharon and Smyrna. In addition, there are six unincorporated communities and six census designated places including Indian Land off Hwy 521 and Lake Wylie on the west side of the county which have exploded in growth in the past few years. York County is rich in history and in 1785, it became one of the original counties in the newly formed state of South Carolina. At that time and throughout the Revolutionary and Civil Wars, York County's economy was tied mainly to farming. Railroad development began in the area after the Civil War, and in 1880, the Rock Hill Cotton Factory became the first steam powered cotton factory in the state. This led to an unprecedented expansion of agricultural and industrial development in the area, and throughout the 20th century, Rock Hill's cotton production led the way in the textile industry. One of the most significant developments in the southeast United States' industrialization was the completion of the Catawba Dam and Power Plant in 1904, which led to the founding of the Duke Power Company (now called Duke Energy), and series of dams and hydroelectric facilities that were later built on the Catawba River in North and South Carolina. In many ways, York County is the epitome of Southern charm and hospitality. Town planners have worked hard to maintain the small town feel throughout each of its communities while incorporating modernization to provide big city advantages. The biggest draws to York County are the lower taxes, a high quality of life, abundant and affordable housing options, and good quality schools. Whether it's performing or cultural arts, sports, outdoor venues and activities, visiting one of the many national historic sites, museums, festivals and special events, or the taking advantage of the abundant shopping and restaurants options â€“ there is truly something for everyone to enjoy. 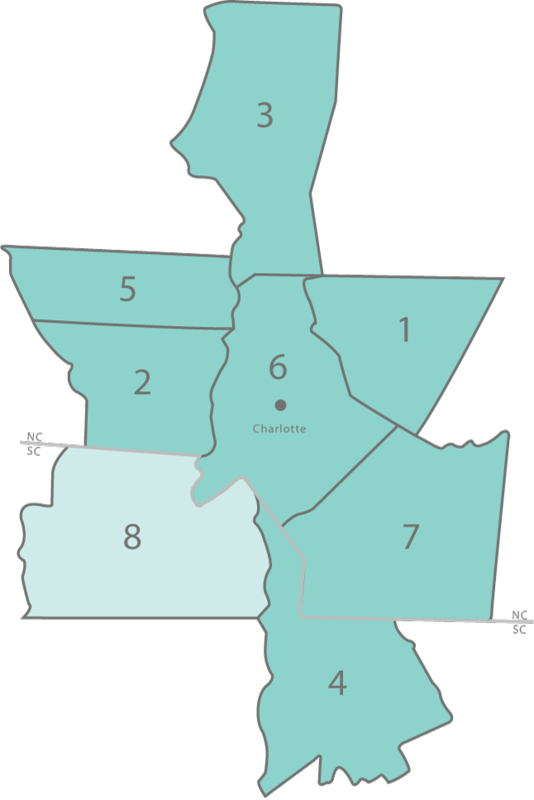 In addition, York County has four public school districts and Rock Hill is home to Winthrop University, York Technical College, and Clinton Junior College. With mild year-round temperatures in this region, there are plenty of places to take advantage of the great outdoors. York County has over 50 parks and greenways including the Anne Springs Close Greenway in Fort Mill where visitors can enjoy hiking, biking, fishing and horseback riding, Ebenezer Park on Lake Wylie, and Rock Hill features Riverwalk Greenway along the Catawba River, and Glencairn Garden, a tranquil park in downtown Rock Hill. Lake Wylie and the Catawba River are also popular destinations for watersports. Lake Wylie covers a surface area of about 13,400 acres and has 325 miles of shore line in York, Gaston and Mecklenburg counties. The Catawba River features River Park, a 70-acre park with a kayak and canoe launching area, trails, and picnic areas; and Camp Canaan, a 100-acre island on the Catawba River, offers kayaking, a high ropes course, zip lines, disc golf, rock climbing, summer camps and retreats. In addition, kids from all over the Carolinas come to the YMCA's Camp Thunderbird located on the shores of Lake Wylie each summer. Residents and visitors also enjoy strolling through the historic downtown areas of Rock Hill and Fort Mill throughout the year which always have something going on whether it be festivals, parades, music or art shows, and other community oriented activities. A little further south, you'll find Historic Brattonsville, which is a 775-acre Revolutionary War era site in McConnells that hosts battle re-enactments and tours of the plantation. One of the most popular places to visit is Carowinds, which is the largest amusement and water park in the Carolinas. A fairly new venue in Rock Hill called Giordana Veldrome opened in 2012, and features a 250-meter embanked cycling track which has made the city a hub for national cycling competitions. Rock Hill also features the Novant Health BMX Supercross Track which is the first (public) Olympic caliber BMX training facility on the east coast. While county and town officials have been doing their best to provide well-planned growth, it is inevitable that roads and new schools will continue to be under construction/expansion for years to come to keep up with the influx of residents and businesses.